Will Smith and Tommy Lee Jones are nowhere to be found in the upcoming Sony Pictures film MEN IN BLACK: INTERNATIONAL. But that doesn’t mean the new sequel doesn’t have a link to the originals. The proper term would actually be spinoff, as from what we can tell, MEN IN BLACK: INTERNATIONAL will be set in the same universe as the original three movies, but will zero in on totally new characters. For the most part. One way that we can prove that MEN IN BLACK: INTERNATIONAL connects back to the first three MEN IN BLACK movies is the casting of Emma Thompson as Agent O, from the American branch of M.I.B. The celebrated star will be returning and acting as the head agent who recruits Tessa Thompson, turning her from a curious Men in Black customer to Agent M, working for the M.I.B. 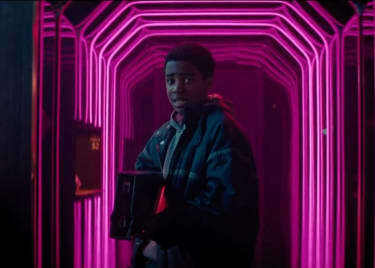 In the most recent trailer for MEN IN BLACK: INTERNATIONAL, though, director F. Gary Gray included another nod to the exploits of Will Smith and Tommy Lee Jones. There are paintings on the walls of Men in Black’s secret headquarters. And those paintings depict famous encounters of M.I.B. agents and aliens. In the painting on the right in the below photo, we clearly see Smith and Jones confronting the alien from the end of the initial MEN IN BLACK movie. Link to the original universe, confirmed. So, it’s possible that either Will Smith or Tommy Lee Jones (or potentially even both) makes a cameo in F. Gary Gray’s MEN IN BLACK spinoff, but for the most part, the story will focus on two new agents, M (Thompson) and H (Chris Hemsworth). And the adventure will begin in London, where H is stationed and working alongside High T (Liam Neeson). 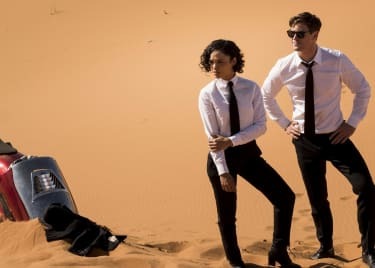 But the mission won’t be contained to the UK, as Hemsworth shared photos on social media during the shoot of all of the exotic places that MEN IN BLACK: INTERNATIONAL traveled to on behalf of the production. And that makes sense. Every time a franchise expands, taking the action to new locations is an obvious step. 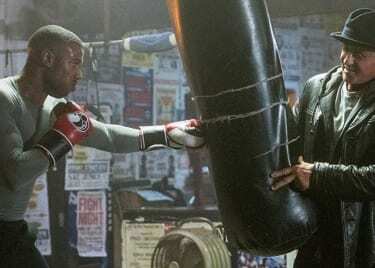 And F. Gary Gray most recently helmed THE FATE OF THE FURIOUS, the latest chapter in a cinematic saga that knows how to grow with each new sequel. 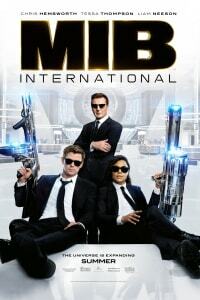 We’ll see what the new Men in Black agents have in store when MEN IN BLACK: INTERNATIONAL opens in theatres on June 14.